In the Republic of Moldova, the level of equality between women and men remains at a low level. Even if the Gender Equality Index, calculated by the Partnership for Development Center, has improved compared with 2009 and 2015, the improvement is considered insignificant. In 2016, only one area of the six based on which the index is determined, passed the ceiling of 70 points, as opposed to two areas in 2009 and 2015. The Gender Equality Index is calculated based on 31 indicators on a scale of 0 to 100, where 0 means full inequality between men and women, while 100 means perfect gender equality. Thus, the closer the index is to 100, the higher the gender equality level is. 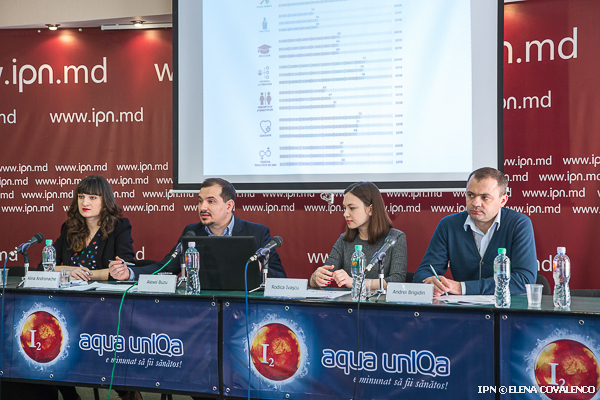 In a news conference at IPN, executive director of the Partnership for Development Center Alexei Buzu said the rise in the Gender Equality Index from 57 to 58 in 2016 is mainly due to the improvement of the perceptions of the role of women in society. The score for gender perceptions and stereotypes rose 4 points and determined the increase in the Gender Equality Index compared with a year before. 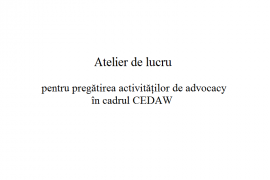 It can be thus deduced that the level of gender equality in Moldova actually improved owing to the people and less to the reforms initiated by the authorities. The Gender Equality Index is negatively influenced by the more pronounced inequalities in health. The level of gender equality in health witnessed significant declines. The value of the index for healthcare decreased continuously in each year when this was calculated, from 73 points in 2009 to 71 in 2015 and 69 in 2016. The gender equality level didn’t rise significantly in four areas. A modest rise of 1 point was witnessed in the labor market area (from 62 to 63 points) and access to resources (from 75 to 76 points), while education and politics saw the same level of inequality as a year before. 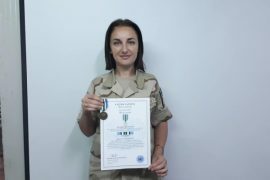 According to activist and women’s rights defender Alina Andronache, politics remains the area with the lowest level of gender quality. The women continue to be underrepresented in great politics. Thus, only two in nine MPs are women. It should be noted that Parliament in 2015 adopted legislative changes that oblige parties to ensure a minimum female representation quota of 40% on lists of candidates for local and parliamentary elections. The men’s political ambition is greater than that of women. In the case of local elective posts, the level of the men’s intention to run is almost twice higher than among women. The difference is much lower in the case of posts that do not imply involvement in the election campaign. The political ambition of men is greater because these do not bear the burden of housework, said the research authors. The gender roles in the family determine the career options of young people to a greater extent. Boys tend to choose jobs that would yield revenues swiftly. This is due to the role of money earner that is attributed to men. These stereotypes make the young men to decide in favor of short-term studies and specialties with greater earning potential. Girls give priority mainly to family life and thus choose to build careers that would enable them to easier combine the professional and family lives. The pay gap and difference in pensions derive from here. In Moldova, gender differences nationwide are lower compared with those in the municipality of Chisinau. This is due to the share of male pensioners in rural areas who get lower pensions because they worked in agriculture. The difference in pensions nationwide was 2,907 lei a year, while in Chisinau municipality 6,595 lei in favor of men, the study authors determined. This analytical note was possible owing to the assistance of the American people provided through the United States Agency for International Development (USAID).